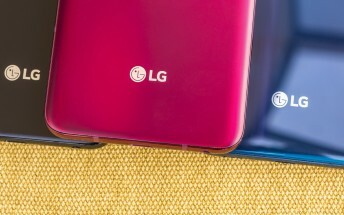 By the looks of it, last year's low-end X4+ handset from LG will get a successor although, it probably won't make it outside of South Korea. 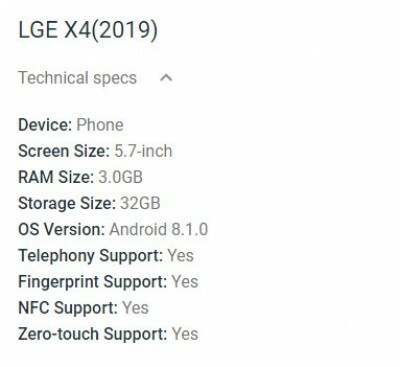 Buried in the Android Enterprise Device catalog, the LG X4 (2019) makes an appearance with some basic specs - a 5.7-inch display, 3GB of RAM and 32GB of internal storage. It also supports NFC and to our surprise, it will run Android 8.1 Oreo out of the box. Strange to see an upcoming Oreo-powered device six months after the release of Android Pie, but here we are. Perhaps the general user won't mind given the price point of the product. We just hope that it gets a more modern SoC. Last year's X4+ featured a Snapdragon 425 built on the 28nm node so at least a Snapdragon 450 would be greatly appreciated.